You’re about to renovate your home. You want the best tile for your project. 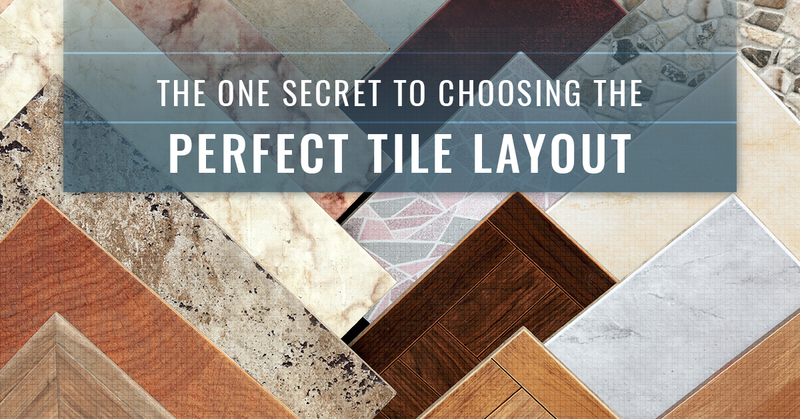 But you’re not sure how to choose the perfect tile layout. Your tile layout should be determined by the look and feel you want people to experience when they’re in the space you’ve chosen to renovate. One of the biggest mistakes homeowners make is they choose a tile layout that’s popular, not the tile layout that achieves their desired feel and look. In this article, Transworld Tile is going to share seven tile layouts that you can choose from to accomplish your tile renovation endeavor. As a classic, the brick tile layout is typically used with subway tiles to cover entire walls, backsplashes, and bathrooms. This is a cost-effective, modern look that has lasted for ages. If you want a timeless layout that offers horizontal lines and half-tile offsets, this is the tile layout for you. Most brick tile is installed horizontally, but if you want to extend the height of the room, you can install brick vertically to draw the eye upward. Instead of widening the space, it will add height to it. It’s an unexpected layout, but still a fun choice if you want to use subway tile, rather than brick. A large brick layout is not much different from a standard brick layout. However, large brick layouts offer a great reason to use natural stone tiles that offer colored veins. Also, larger bricks reduce the reliance on grout to tie the tile design together. Finally, large bricks allow for a more seamless appearance. If you’re looking for smaller tile shapes, you will find that mosaics are a great option. 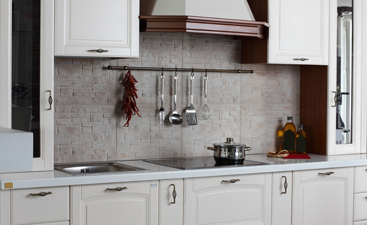 You can inject style and decor into any space with this tile layout type. Also, mosaic tiles tend to be used as accents to larger tile spaces. As one of the simple tile layouts, the stacked pattern is a repeated tile without the offset used in brick. This pattern is common, but it offers a standard look that most expect when they see tile. 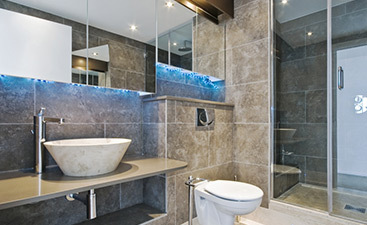 This means that you can accent the stacked tile with mosaic accents or other color combinations to make the design pop. Similar to the Chevron, the Herringbone tile layout is great for adding high-end appealing to any space. The pattern itself is sophisticated, which draws the eye in. You can use simple tile material to achieve this pattern, but you will get the modern, high-end look, too. The angular pattern of this tile layout offers a dynamic energy to any space. Want to avoid the extra cutting in the Herringbone layout? Go with the basket weave layout. You will get the sophistication of Herringbone without the extra work of cutting every other tile. The basket weave involves creating a rotational pattern with subway tiles. This makes it so that you only have to cut tiles where they intersect with walls or other tile patterns. If you’re over tile, we understand. It’s tough to find the perfect tile, even when you have such a wide selection to choose from. Granted, you can find a tile slab that fits your needs. Don’t want grout? A slab is a great selection. In fact, a slab creates an open look that will fit into most any modern space. 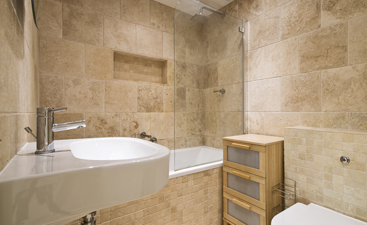 Whether you want a traditional brick layout or a complete slab for your kitchen or bathroom, we can help. Our showroom is filled to the brim with tiles. Don’t wait any longer. Give us a call now or visit our showroom that serves Thousand Oaks, Los Angeles, and San Fernando.